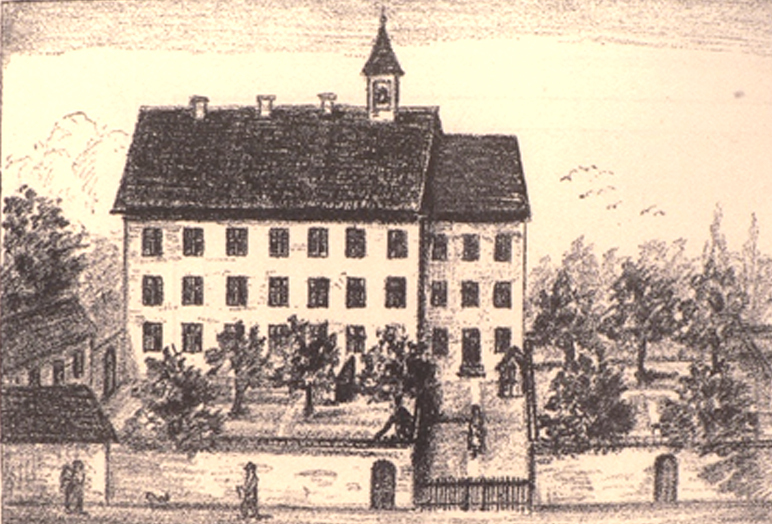 The convent and school in Neunburg vorm Wald in Bavaria, where the congregation was founded on October 24, 1833. The congregation of the School Sisters of Notre Dame traces its actual beginning to October 24, 1833, when Caroline Gerhardinger, Barbara Weinzierl, and Maria Blass began a common religious life in Neunburg vorm Wald, Bavaria. Political and social upheaval in Bavaria brought about widespread poverty. Destitute young women were often single parents with no means of support. Hunger and illiteracy were common. Christian values and beliefs were being abandoned in the modern, enlightened world of the nineteenth century. In the belief that the renewal of society depended on the Christian family in which the mother, the first educator, had a key role, the Christian education of girls would be the vital service offered by the new community. Read more about the origins of the School Sisters of Notre Dame on our international website.